Online marketing is becoming increasingly important for retailers. In 2016, retail e-commerce sales reached $1.915 trillion, accounting for 8.7 percent of total retail spending, according to eMarketer data. By 2020, this will increase to $4.058 trillion and account for 14.6 percent of total retail spending. As retail e-commerce grows, marketers have refined their tactics and developed more effective ways of reaching consumers online. 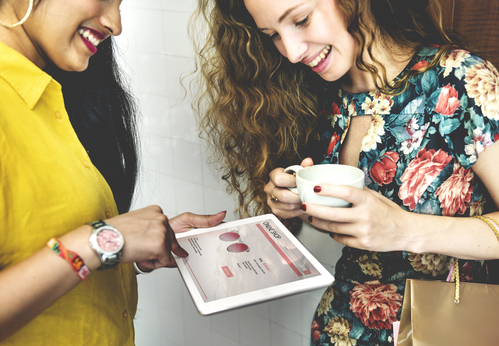 Here are four proven promotional strategies you can use to grow your online retail business. One of the most successful online promotions in history has been Amazon’s Prime Day. Last year, Amazon’s second Prime Day promotion topped its predecessor by 60 percent, selling $2.5 billion and pulling in 74 percent of all purchases made on the Internet on July 12. In addition to the direct sales it generated, the event also signed up new members for Amazon’s Prime services, setting the stage for recurring sales through annual subscription fees and repeat business. Prime members spend $1,500 a year on average compared to $625 a year for non-Prime customers. To emulate Amazon’s Prime Day success, other retailers can develop their own special events. Focus on high-profit products and programs that target the most valuable segments of your customer base. Use analytics tools to identify your most profitable product lines and customers. Develop special events and offers that will appeal to your high-profit customers. Study special events put on by your competitors for ideas. Plan well in advance to make sure your website and check-out process are working smoothly and your inventory and shipping and prepared for your promotion. When running promotions, it’s essential that your website design and social media profiles and posts highlight what you have on sale. For example, after Samsung recently released the Galaxy S8, the company’s homepage featured a large, clickable screenshot from a video promoting the S8. Your homepage can also feature a rotating carousel of images highlighting several of your top sales offers. In addition to your homepage, you should use other pages of your site to draw attention to your sales. For instance, Cabela’s website is organized into shopping categories such as hunting, fishing, and camping. When you search for products in any given category with the “recommended” filter drop-down menu option checked, the top results display items that are currently on sale, marked by a special corner banner and a crossed-out price highlighting the current sale price of the item. The “recommended” filter is checked by default to promote visibility of sales items. You can also use your social media profiles to promote your sales. Periodically update your profiles to highlight your current sales, and mention your sales in your posts. When it comes to selecting content to post on your site and social profiles, one of the best weapons in your marketing arsenal is videos. A survey of 600 marketers found that 70 percent agreed video was their most effective form of marketing. Product videos are 174 percent more likely to convert. You can promote videos on your homepage, on product pages, and in social media posts. When placing videos, a best practice is to include a screenshot that gives the viewer the option of starting the video, rather than having the video start automatically, as autoplay can slow download speeds and annoy customers. For example, Walmart’s product page for Google Home includes a clickable video icon to the upper left of the product description. Your other promotional tactics should be geared whenever possible toward building your social following and email list for follow-up marketing efforts. It generally takes at least six touches or more to cultivate a viable sales lead, according to Docurate marketing VP Fergal Glynn. Many retailers build email marketing into their sales process by offering customers an opportunity to opt-in during checkout. They can then receive follow-up offers based on their initial purchase and other information in their profile. For example, Sephora boosts customer engagement by sending out emails promoting contests, such as an offer to win a trip to Paris by clicking for details. You can also use your social media posts in a similar way.